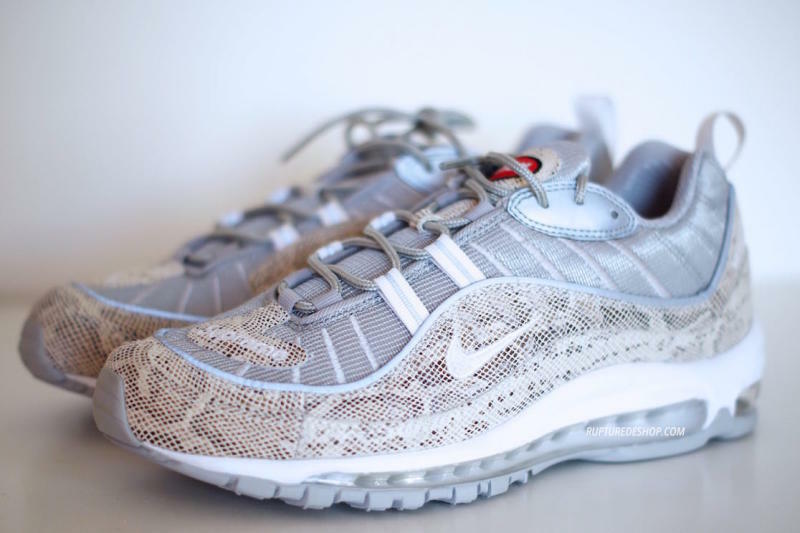 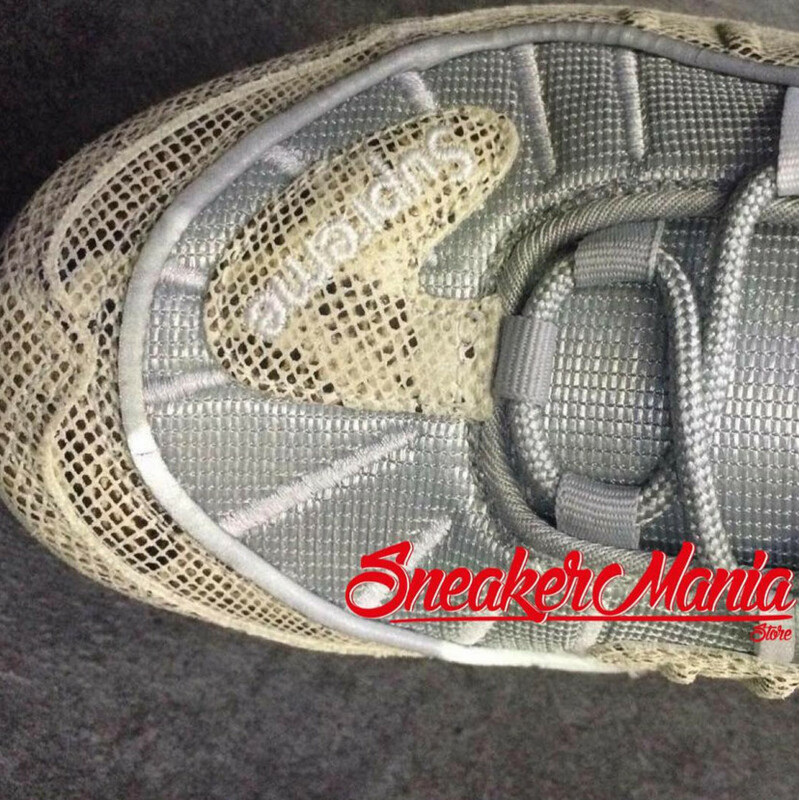 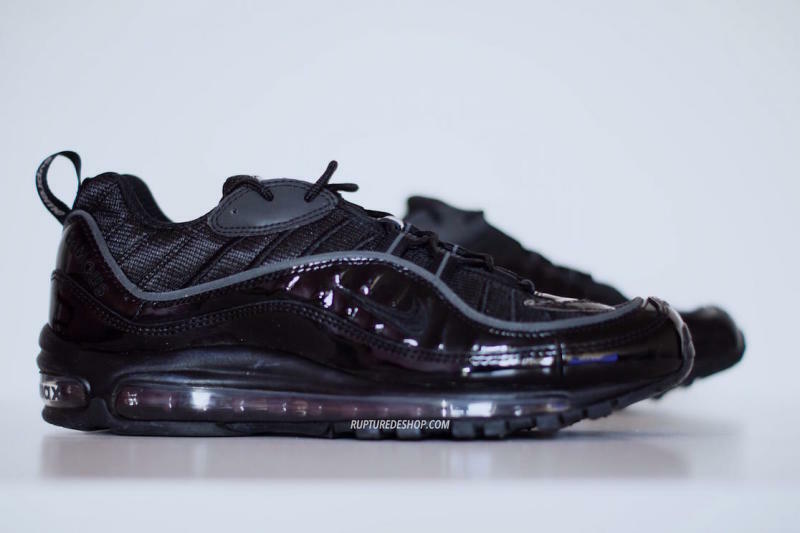 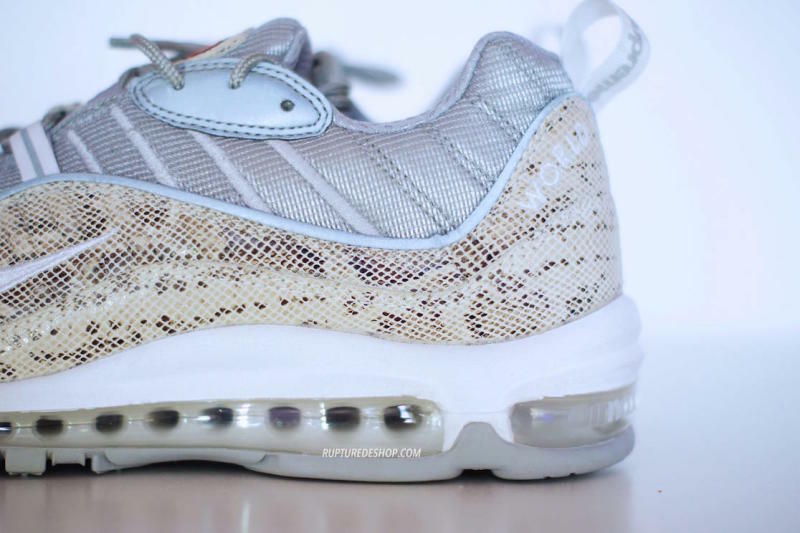 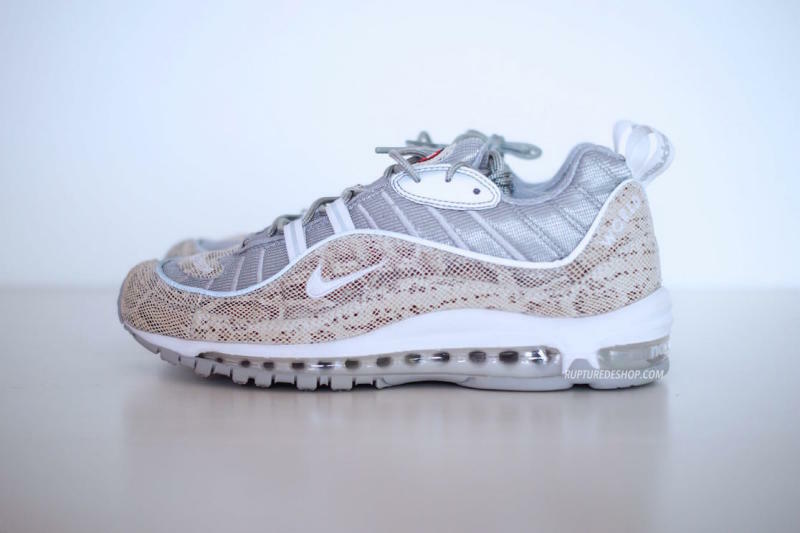 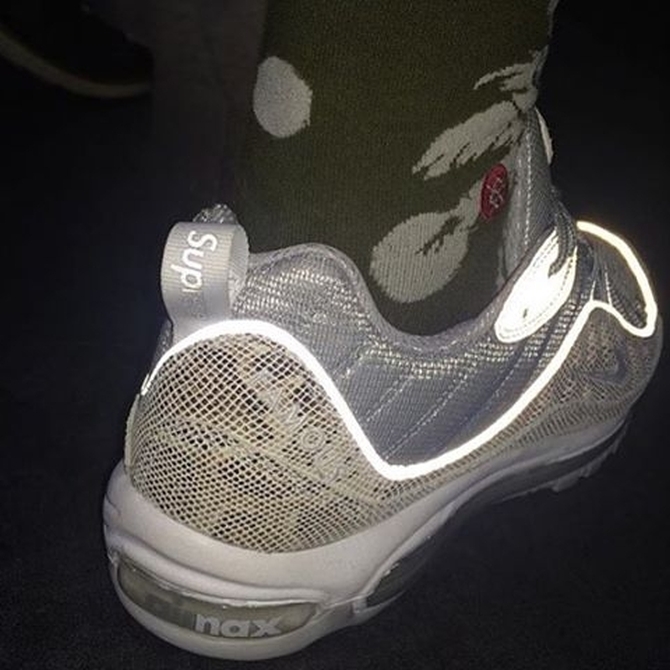 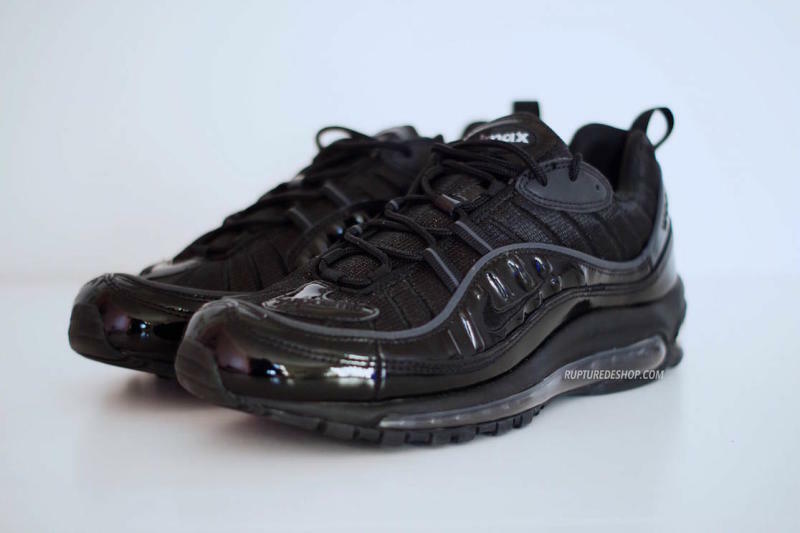 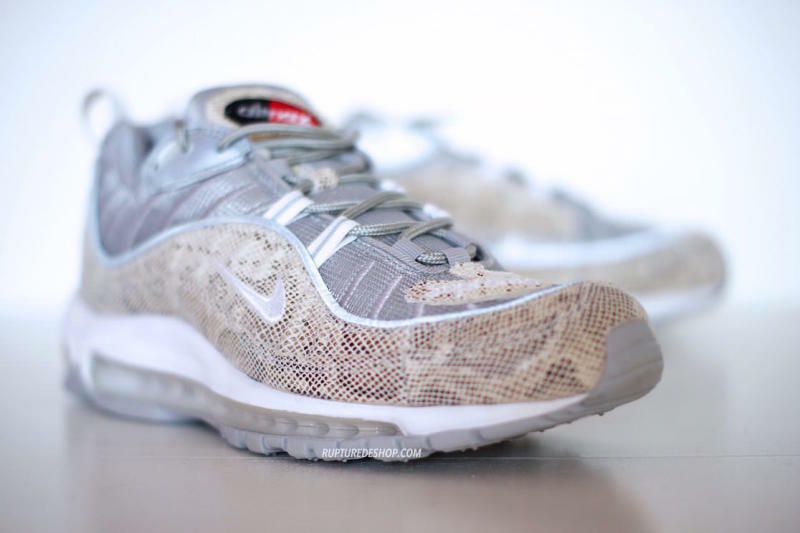 Images of a supposed Supreme x Nike Air Max 98 leaked this morning, suggesting that the skateshop will again team up with Nike Sportswear for a special release. 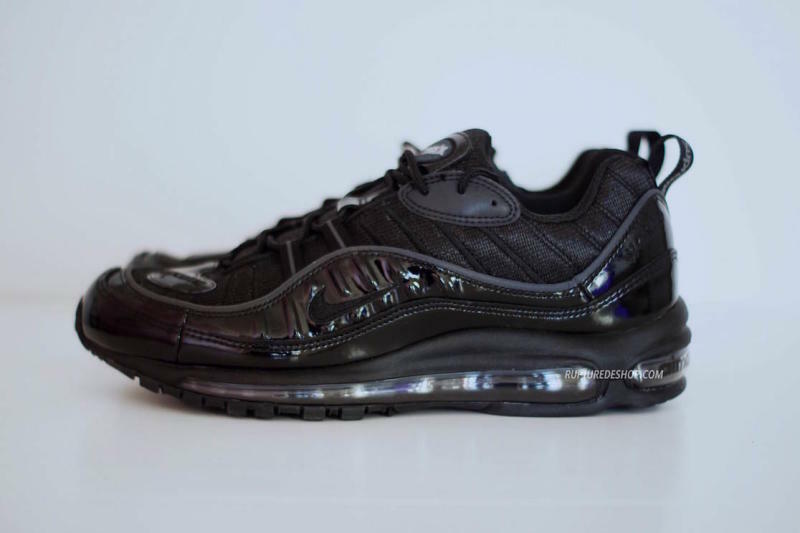 A couple of years ago when all of Supreme's Nike shoes were of the SB persuasion such a project may have seemed impossible, but the store has branched out recently by aligning itself with NSW via retro product like the Foamposite One and the Air Force One. 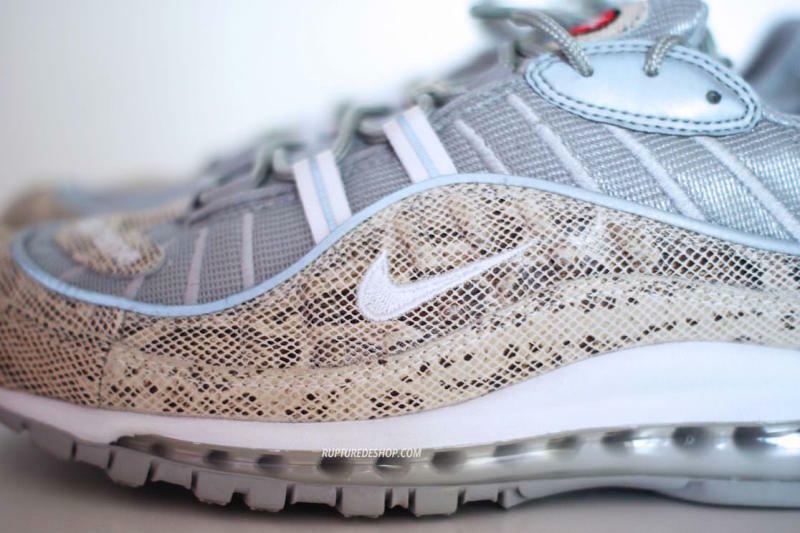 Now, it will rework an underrated Air Max. 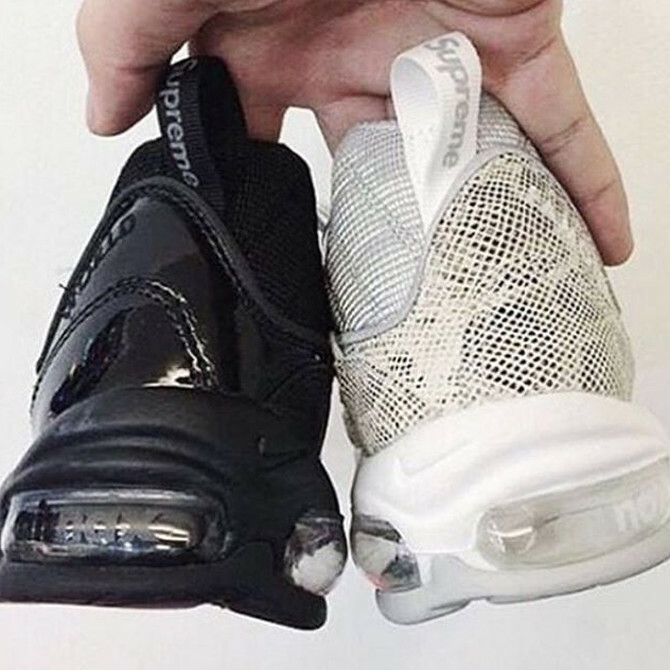 While only two colorways have surfaced so far, it's rumored that there are four in total. 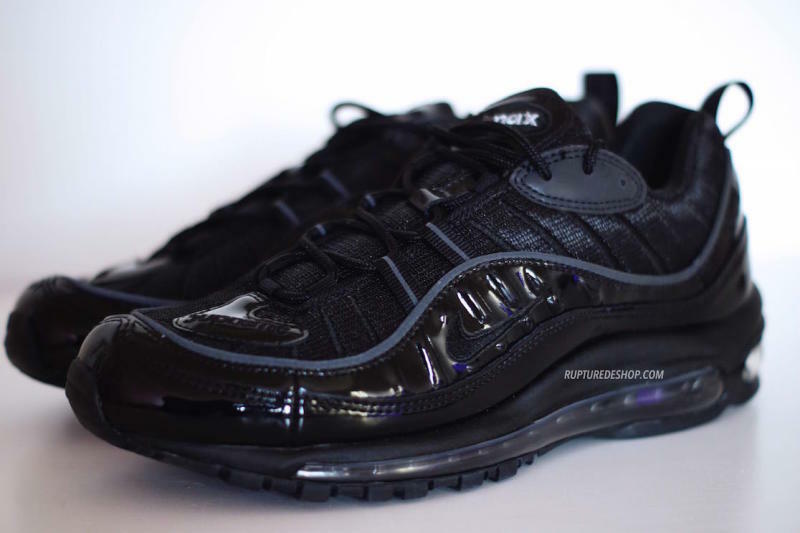 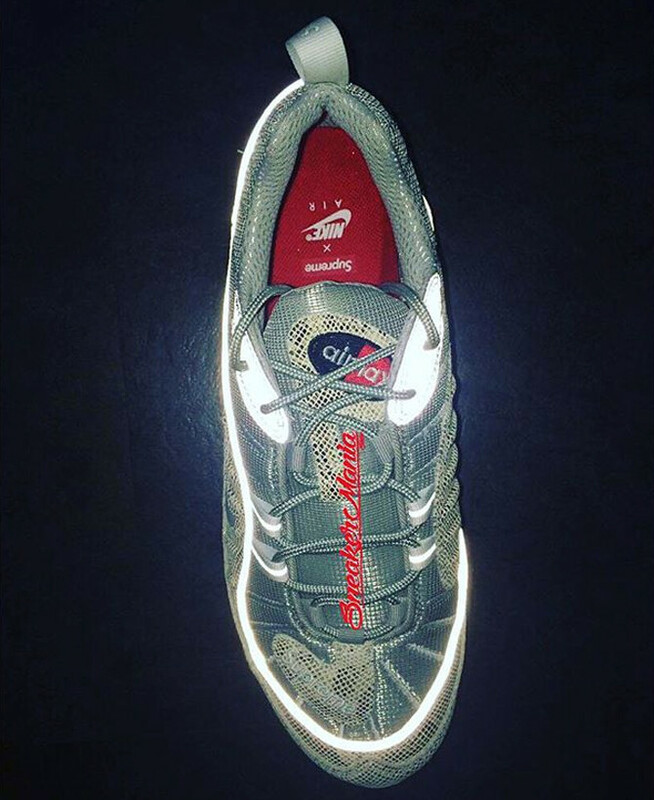 There is no sneaker release date or official confirmation of the Supreme x Nike Air Max 98 yet. 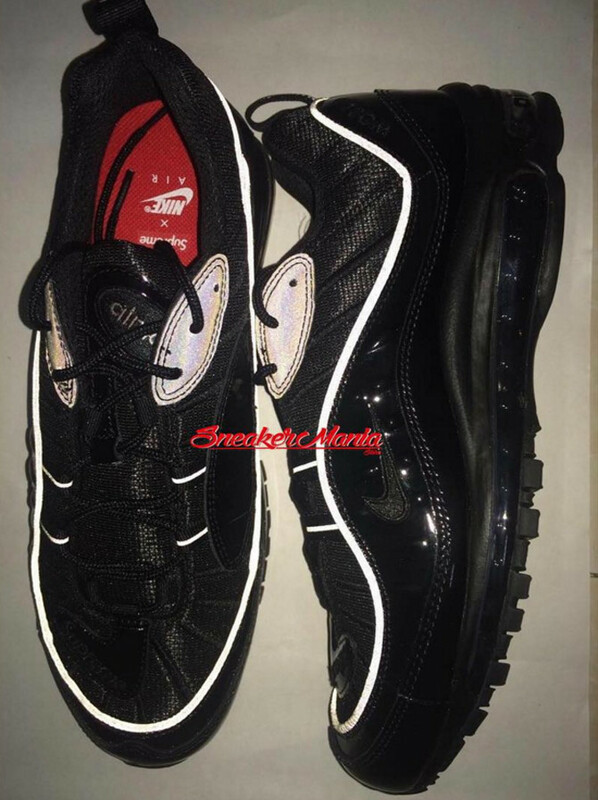 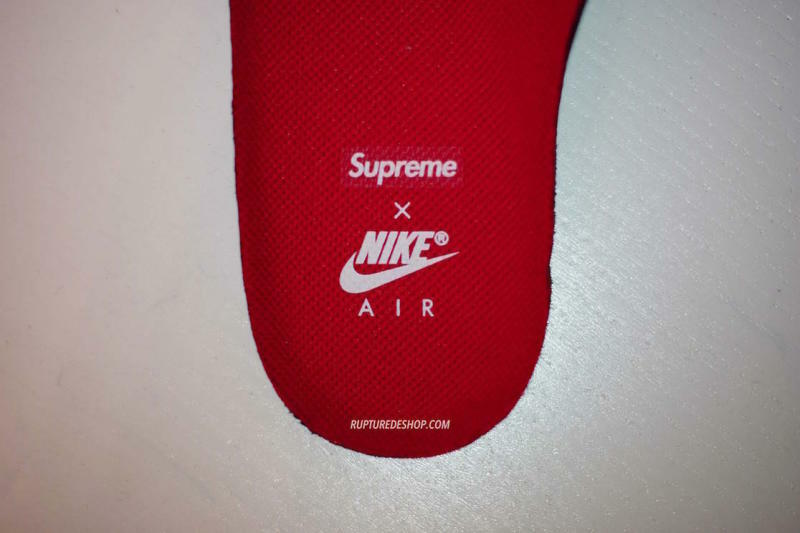 UPDATE 2/4: New images of both Supreme x Nike Air Max 98 colorways via Ruptured, which still don't have a confirmed release date. 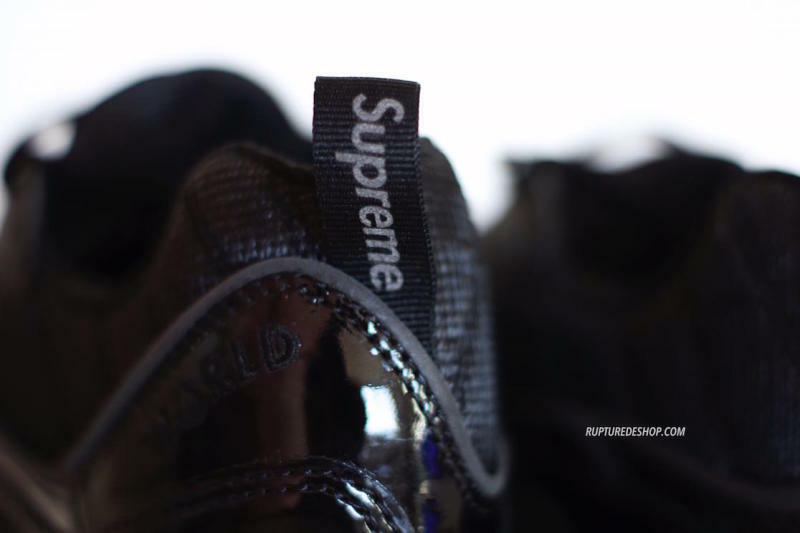 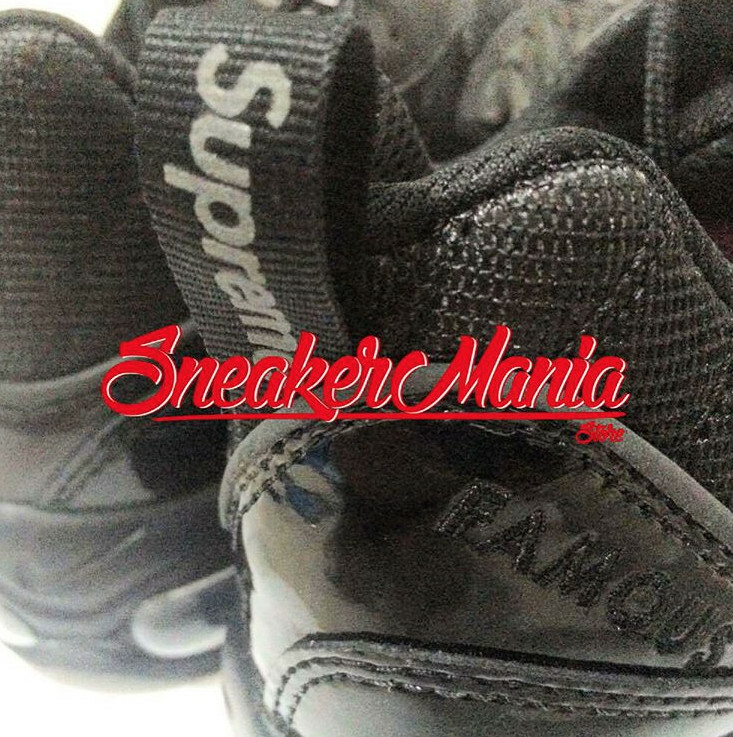 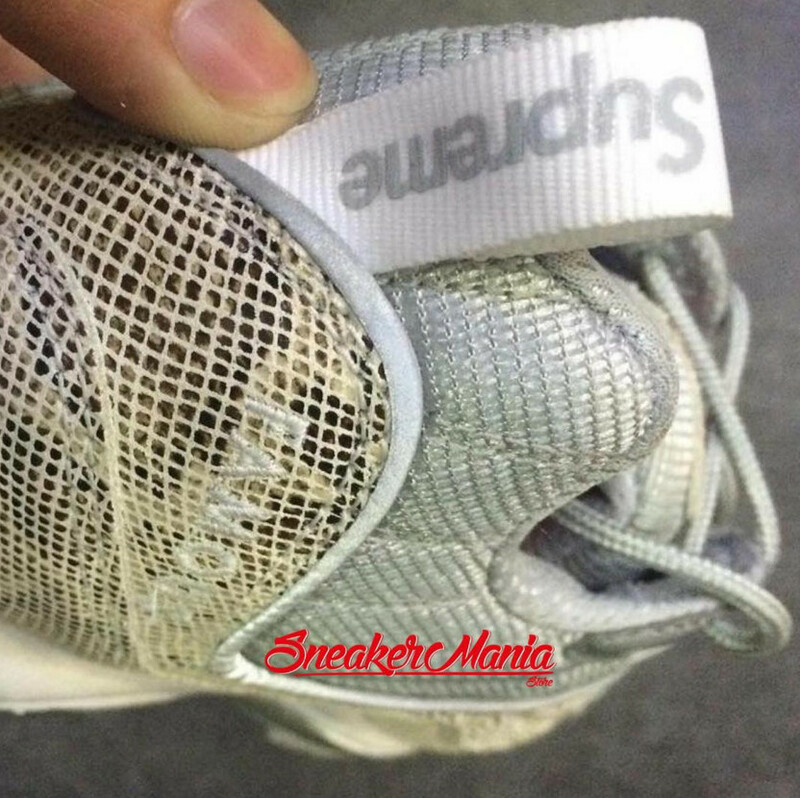 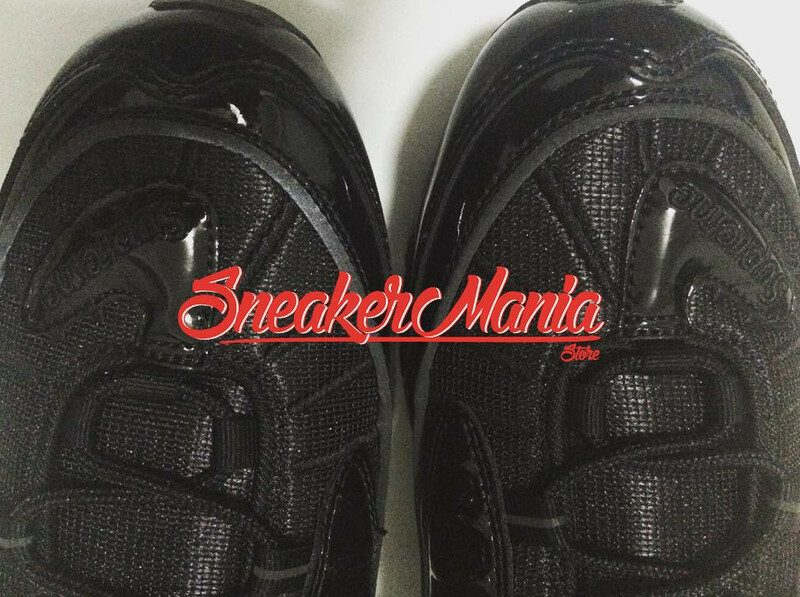 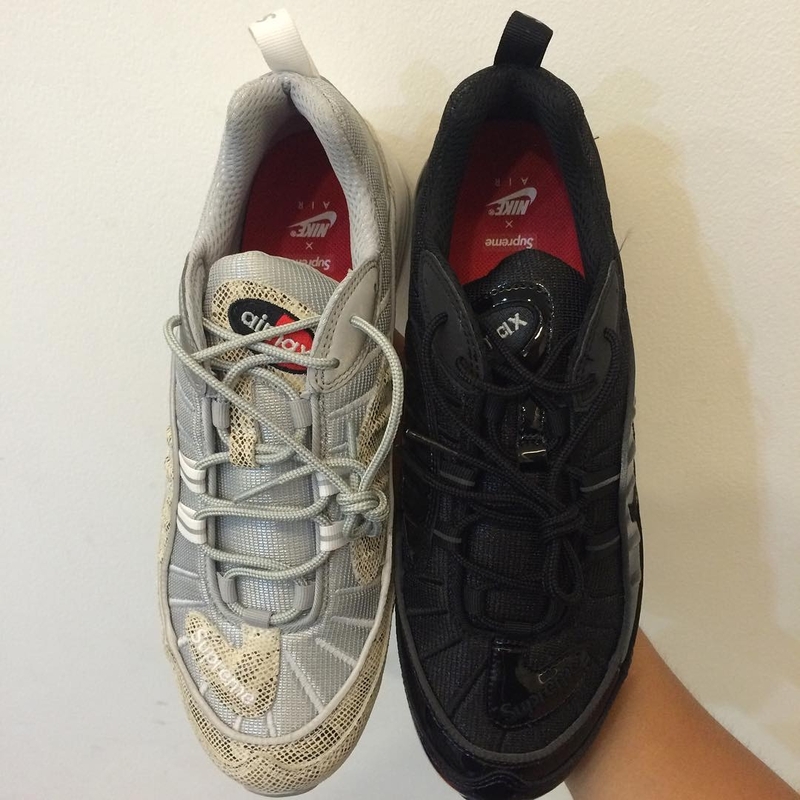 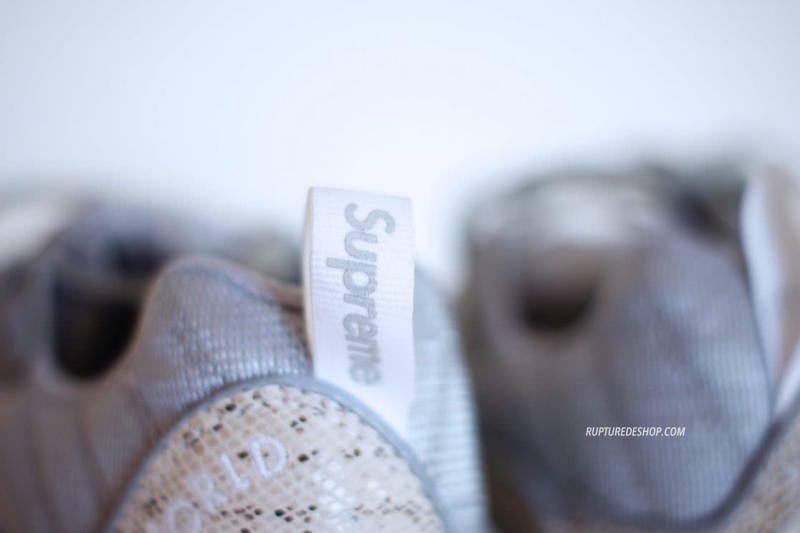 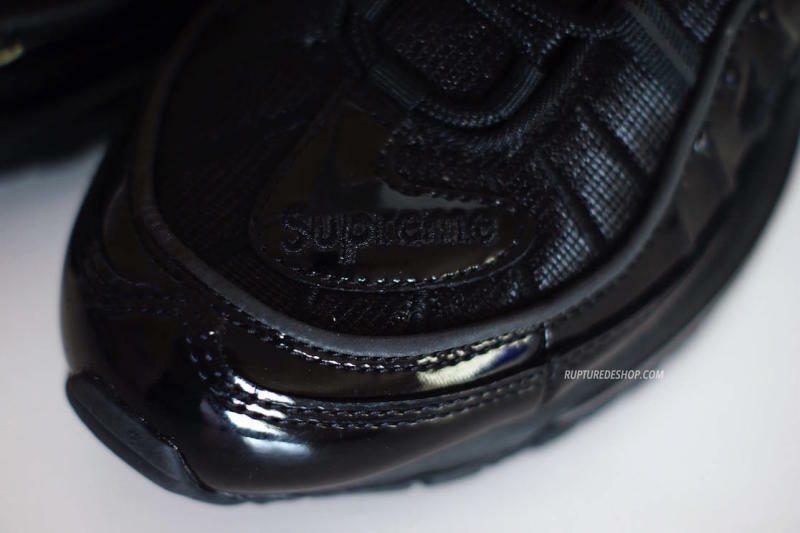 UPDATE 1/20: Detailed, terribly watermarked images of the black and snakeskin pairs of the Supreme Air Max 98.